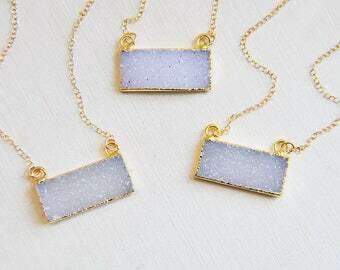 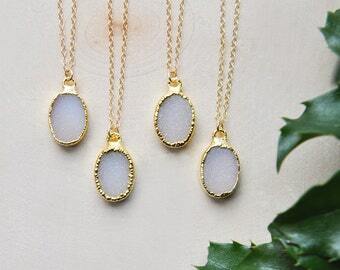 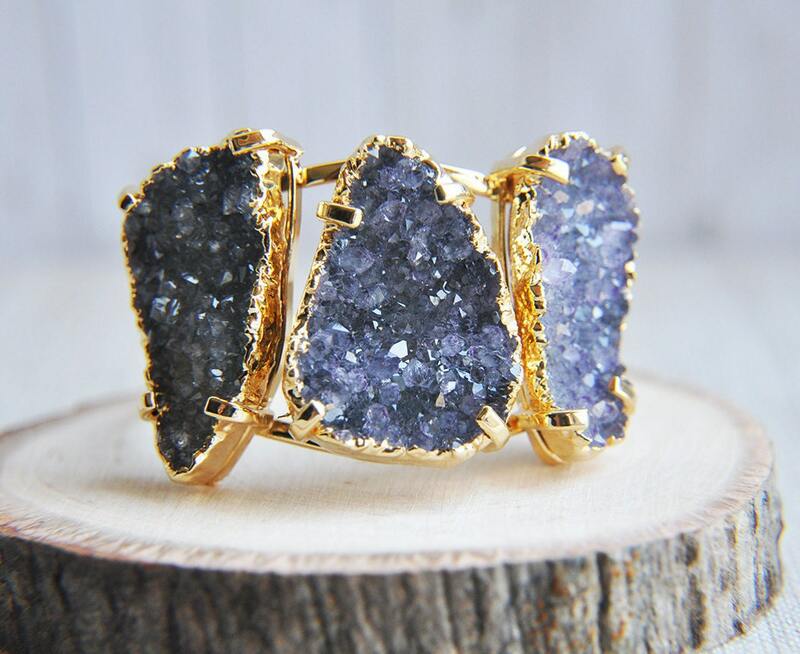 This gorgeous natural druzy gold statement bracelet features three large druzy stones that range from dark, medium to light shades of purple. 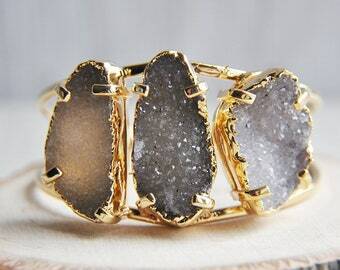 The raw stones are electroplated with gold and secured to a double banded gold cuff. 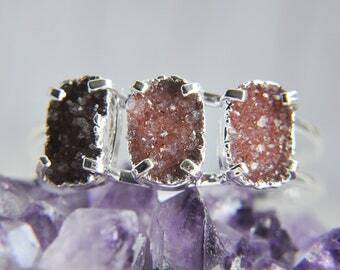 This is a one of a kind druzy bracelet based on the natural formations of the stones. 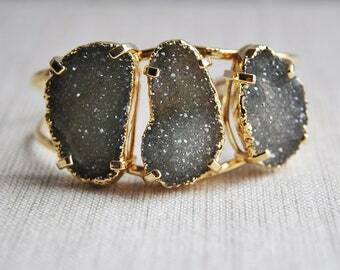 You will receive the exact gold druzy cuff as photographed. 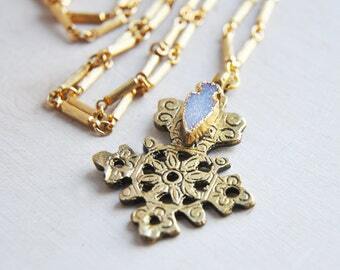 All of my jewelry arrives suitably gift wrapped ready for giving.